It was in May of 2011 when the first ever Life Teammates “speech on the pitcher’s mound” was given after a sporting event. 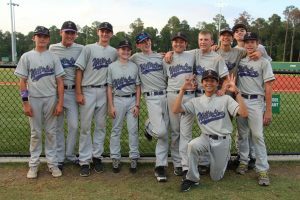 Team GA baseball had just been defeated by the Northview Jr. Titans 13U travel baseball team that I was coaching. My son Tommy was a part of that team. 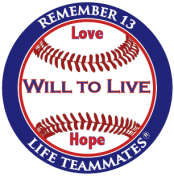 Before the game that day, Tommy and his buddy, Joseph Macrina, headed over to the other team’s dugout and handed out “Life Teammate” baseball helmet stickers that we had just created as part of our new “Life Teammates program” within the Will To Live Foundation. Tommy explained to the Team GA players about his brother Will’s suicide death just seven months before. He spoke about the Will To Live Foundation’s “Life Teammates” message and the importance of loving your teammates and being there for them – on and off the field. The Team GA kids jumped up to get the stickers and put them on their helmets, proudly wearing them throughout the game. I remember thinking how great that was, and how pleased Tommy himself was with our opponents response. After the game, however, something happened that I did not plan, but would change the course of the Foundation. The Team GA coach gathered us all on the mound and grabbed one of his team’s helmets and showed the Life Teammates Sticker to the players. He explained to both teams the importance of being there for each other on and off the field and that we, as teammates, need to always be here for each other, just as we are here for the Trautweins and for the Foundation. It was truly a wonderful and memorable moment – and I instantly recognized something very special was happening. The kids, these 13 year old boys, were really listening. A game had just been played – Northview had surprisingly beaten Team GA which we had not done before… but the Northview kids were not jumping around in celebration – instead they were listening to this message – intently. 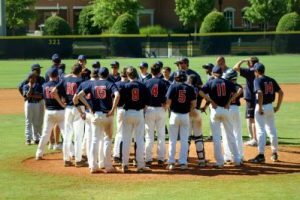 The Team GA players had just lost to a team that they should beat, but they were not upset or angry – they were listening to this message – perhaps even more intently. I found it extremely interesting how quickly these kids had risen above the game – and I knew we were on to something. Well, almost three and a half years later, some 4 years after the death of my son Will, the ‘life teammate speeches’ on the mound, or 50 yard line, continue. I estimate that over 200 of them have been given on ball fields, lacrosse fields, football and soccer fields around the country. 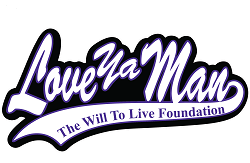 As the leader of the Will To Live Foundation, I can look in the mirror and say these “talks,” given mostly by the teens themselves, are the most impactful things that the Will To Live Foundation does. Kids delivering the message to kids!!!! It seems after every speech, we find someone in the audience who “has a story” – or is extremely impacted, moved or motivated. 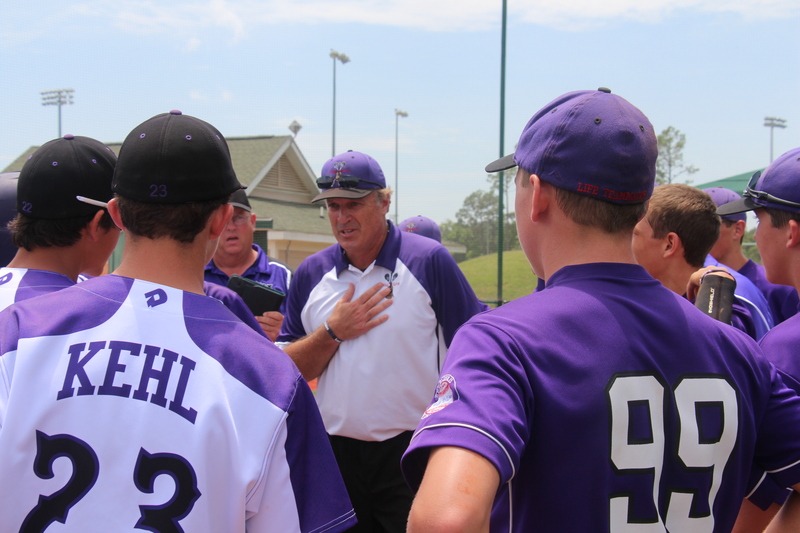 Just last week (June 22-29, 2014), Team Will To Live Baseball, a 14U travel team that is coached by my friend Rob Lowenthal and me (I’m the assistant), traveled once again to Myrtle Beach to play in the “Ripken Experience” – our end of season, week long tournament. It was a wonderful week indeed. 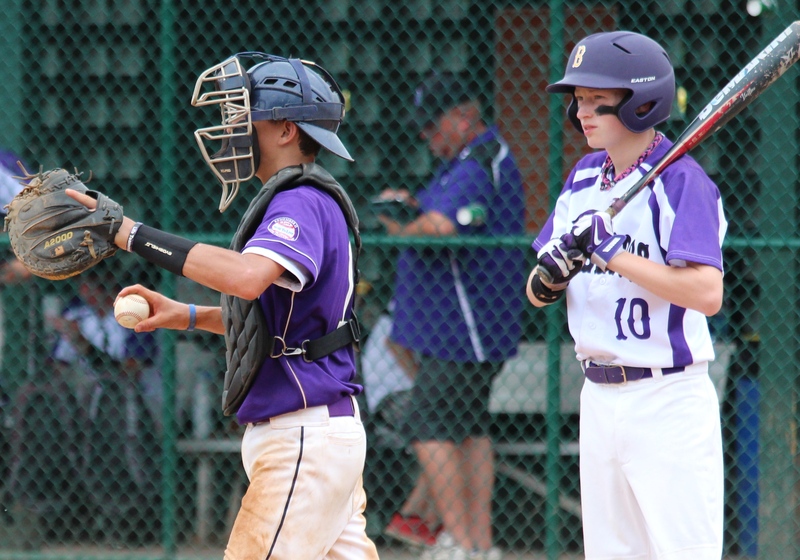 As we had done the previous year; we made an impact before, during and after the games at Ripken. 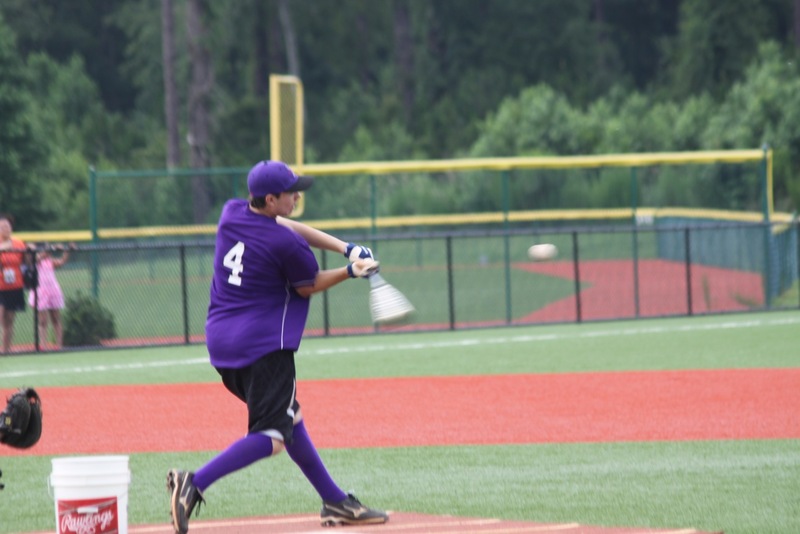 Yes, this year we went 4-2 in the tourney which is very good, our best showing at Ripken ever (three years now). However, as in previous years, it was off the field where people remembered ‘Team Will To Live’ and what it stood for. Our second to last game at Ripken was against Wauconda IL (NW suburb of Chicago), a town that I practically grew up in. For my entire childhood, I lived on the border of Barrington and Wauconda IL, and my brother and his family still live there today. In fact, many of the Wauconda coaches and families knew my brother and his baseball school in nearby Barrintgon, IL. Before the game I introduced myself to their fans and coaches and asked about all my old stopping grounds – “Hey, let’s all go to “JJ Twigs” after the game” I yelled as I headed out to coach 1st base. “How do you know about “JJ Twigs” a nice lady responded? Obviously, you had to know the small city of Wauconda,, IL well to want to visit their favorite pizza joint! During the game, while I was coaching 1st base, I easily struck up a conversation with their first baseman. I would later learn his name was Brock. I quickly recognized that this young man was a great kid who was very friendly, but very serious about the game. He was really in to it, and I remember being impressed by him. I then turned it over to big Eric Bias, our pitcher that day, who had just pitched a fabulous game against these guys. Eric happily explained to our opponents what Life Teammates were all about and how life, just like baseball, can be hard, and it’s important to always remember that your teammates will be there for you on and off the field. He finished by saying “We’d like you all to wear these wristbands that say “love ya man” and “life teammates” on them in honor of your teammates who are there for you.” We then all gathered in the middle putting our hands in, and Eric lead us with a “1-2-3 – Love ya man” group cheer. 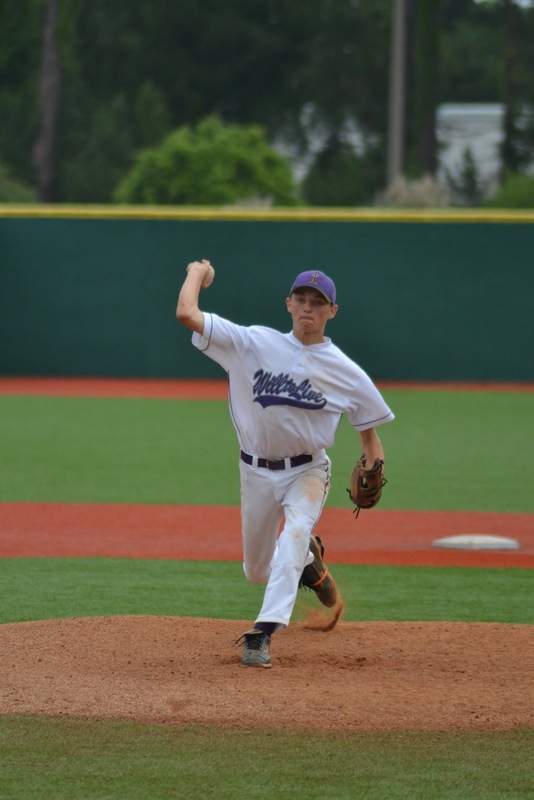 What I found very interesting and slightly different from the 100’s of other “mound speeches” was after the cheer, every Wauconda player lined up to shake my hand or hug me and say “thanks” – it was special. Several players pointed to my son Michael. who still had his gear on. and was putting his stuff away at the far end of the dugout. “Mikey, one of the Wauconda players wants to speak with you” I said. I watched with great interest as Michael headed across the dugout with a puzzled look on his face. “You’re also a hell of a ball player too” Mikey smiled and thanked him again. As the exchange ended and Brock headed out of our dugout, I just sat there on the dugout with tears flowing – all I could think about was my Will. It was something he would have done – he would have loved that moment – I cried –I hadn’t done that in a while, and to be honest it felt good. It’s funny how that works. She was nervous, she feared maybe he was angry and said something negative to us – or maybe we said something negative to him. I explained the entire exchange to this kind lady and she began to cry with me. “He’s a very sensitive boy and when I saw him coming out of your dugout with tears – well, I didn’t know what it was all about” – she said. 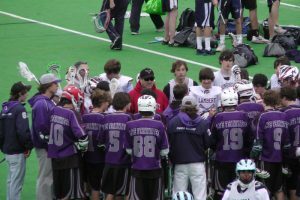 When we gathered our team together a few minutes later, Coach Rob gave a great run down on the game and how proud he was about the way our boys played and carried themselves throughout the day. It was then my turn to speak – and I struggled. With tears flowing I explained that what just happened in the dugout was the most important part of the day for us. I knew Will would have liked today, and that always makes ME feel better. An hour and a half later, the game ended, we lost. We gave the life teammate speech to a great team and a great group of players from Killdeer IL – also very close to my home town. As we walked off the field, I realized that I had coached my last game. After 13 years (yes 13) I had coached my boys Will and Tommy and Mikey – (and even my daughter Holyn for one season) – every single year for the past 13 years – wow… that part of my life was over – I didn’t know how to feel at that moment, I did feel satisfied, I know that – I knew that coaching these kids had taught me so much about life and about myself. As I was contemplating all this, I felt someone grab my arm. It was the coach of the team moving into our dugout to play the next game. They were also from the greater Chicago area. I said “of course” and grabbed a bunch of wrist bands and one of our players, Ethan Lowenthal – and we gathered the other team together and gave them “the speech.” I introduced the foundation and Ethan delivered the meaning of “Life Teammates” to these young men. We gave them wrist bands and the “love ya man” cheer, all while Team Will To Live patiently waited behind the dugout for us to do our end of game speech. I remember walking back to our group feeling very proud. Coach Rob’s and my eyes met – and we gave each other that “wow – this is really great” nod as he hugged his son Ethan. At that point, I was no longer thinking about my coaching days being over, I was thinking about these young men and their amazing response to our message of simply “loving your teammates on and off the field”. Life – like baseball – is hard. Our boys say it to their opponents during each speech. Before we ended our final ‘session’ – I pleaded with the boys to never let the bad at bat, or bad play in the field or the bad inning affect the future – affect the next inning. “Baseball goes on – there is always another day- another inning – just like life.” I told them that my dad used to say “The sun will always come up tomorrow!” It’s so true, and just like baseball, life gives you another inning, so let’s take it an inning at a time – “don’t let striking out in the first inning negatively affect your at bat in the third inning. I can’t remember how I finished that little speech – I hope I said something like this. “Boys, I know that it’s often very hard to see that “good” after a bad play or a bad day, that’s why we have teammates to help us – to help us recognize the good that is there” I wish I would have said things like that to Will before he died – I didn’t know I needed to back then, but I certainly do now. I’m still learning, just as these boys are still learning. We’re teaching them to love each other – and it’s the best part of my day – every day! As we were leaving the facility I said to Susie, “Shoot, I didn’t get to say good-bye to my buddy Brock and his mom!” I felt bad about that – so Brock if you’re reading this – THANKS MAN! I don’t even know your last name, but I’ll find out and I’ll be looking for you buddy! When we visit my brother in Illinois, we’ll find you and “have a catch” – Thanks for inspiring me, thanks for inspiring my son and my family – thanks for being a new Life Teammate to Team Will To Live! God I Love This!l! Thank You! Billy Ripken joins Team WTL in Myrtle Beach in June 2014 – The Ripken Foundation is a key sponsor to the Will To Live Foundation. 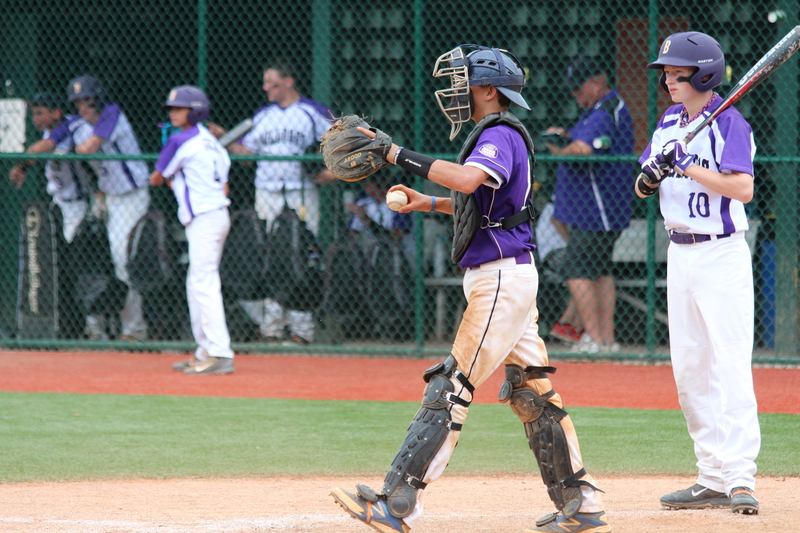 Our only picture of Brock – stepping into the plate with his new Life Teammate Michael Trautwein catching. Eric Bias- leads the Home Run Derby during Opening Ceremonies! 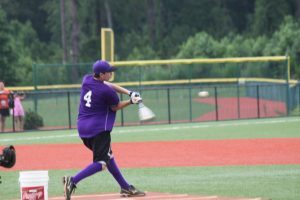 “What Team Will-to-Live’s participation in The Ripken Experience meant to me, was that baseball is a game, and should be played with respect, and should be fun. Some teams get so wrapped up in winning (or at least trying to win), that they forget to have fun. That’s really what baseball is all about. The Ripken Experience did a perfect job of that by saying at the opening ceremony that “our only goal is for the teams to have fun. It doesn’t matter if you go undefeated or don’t even win a game, all that matters is that you walk away saying, ‘That was an awesome week’“. What a wonderful healing experience. Thanks Traut! oh and by the way…Brock’s last name is Glavey. His uncle Tom Lahrman pitched for the White Sox. Sound familiar? And his cousin also pitches in college…..
Brock Glavey is truly and amazing young man! I am honored to say I’ve known him basically since he was born and my Mom was like his second mom. She passed away 3 years ago and Brock was the most emotional loving boy. Mom and Brock shared a birthday and most of their celebrations (at Chuckee Cheese when he was younger) and seeing his broken-heartedness when Mom passed was eye opening. He is certainly an inspiration for a way to love other people and he has a strong head on his shoulders after the things he has been through. Not to mention his Mom is an amazing Mom! Sending positive energy and comfort your way today and everyday! Each day is it’s own; with high expectations and little control we do what we can to make it the best! Wow what an inspiring story. Im glad the Will-to-live foundation has been able to touch so many young lives. I could only hope and wish that I can be half the man you are John Trautwein. I have known you for some time now and you are by far the best person/coach I have ever known. I can only hope that I can encourage and teach my son the way you have to so many. Love Ya Man!! This year with Team WTL has been the most positive experience our family has ever been associated with. My son started this season as a little boy, who loved to play baseball. I am forever grateful to you, as now my young man not only has a much greater love for baseball, but a love of his teammates and his buddies. Thank you both for doing everything so positive in these young men’s lives. Hey, Mr. Trautwien it’s Brock from South Carolina is there any chance I can get some wristbands to spread the word at my school? If there is something I need to do give me info. Mikey should have my phone number or you can email me the information please. Happy to send you a bunch of bands Brock!! 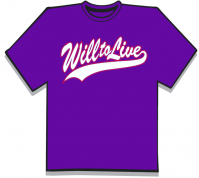 Thanks for being a great ambassador of Will To Live! Home / WTL In The News / WTL Blogs / A Boy Named Brock!